By Rachel D'Arcy | October 27, 2015. It’s no easy feat to be a 24 year old multi-million selling multi-instrumental country star in 2015. Hunter Hayes has managed to achieve just that. In a pop-music age, the ‘I Want Crazy’ hit maker is breaking records and selling out venues worldwide, including Vicar St here in The Liberties last Saturday. 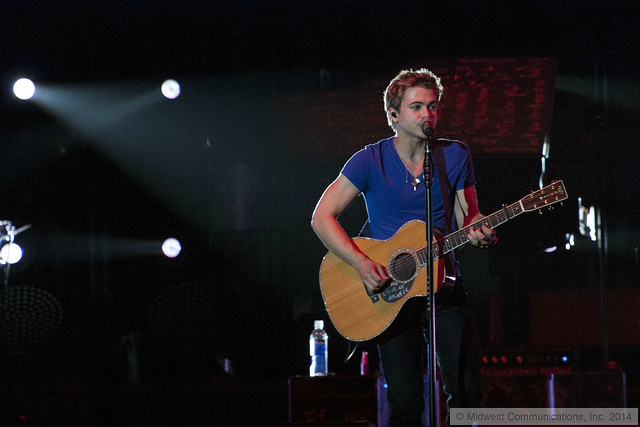 Having broken the Guinness world record for most shows played in multiple cities in May 2014, Hayes’ live performance is regarded as one of the freshest, most exciting in country music today. Currently on tour around the UK and Ireland, his show at Vicar St saw the room entirely packed out and ready to hear hits like ‘I Want Crazy’, ‘21’ and ‘Light Me Up’. On record, Hayes unique country twang mixed with pop beats is what makes him accessible to many. His live performance develops even further on that, particularly on ‘Light Me Up’ and ‘Wanted’. With his live band, he makes each track feel like it’s unique in comparison to the recorded version. The crowd at Hayes’ show was one of the most diverse I have seen in a long time. It was a family occasion for some, with mothers and daughters swooning over the country heart throb, while there were also some older individuals ready to hoe down to a night of decent country music. A vibe of family and familiarity filled the room, with an excitable fan revealing that a large group of people here all know one another through social media and talking about the star online. 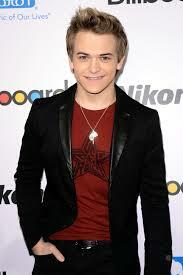 This in itself displays that Hayes is the ultimate 21st century country star. Hayes’ setlist managed to pack a punch, delivering all of his biggest tracks in just over an hour, including a surprise cover of Walk The Moon’s radio hit ‘Shut Up and Dance’ too. With the place packed out, every word was screamed right back at Hayes’, the Nashville native wearing a beaming grin on his face for the majority of his performance. Wrapping up the night with Secret Love, his breakthrough hit, Hunter Hayes managed to prove to the entirety of Vicar St tonight just why he’s won the People’s Choice Award, topped the Billboard charts, and continues to sell out venues across the world. Hunter Hayes’ EP ‘21’ is out now through Warner Music on iTunes and available to stream on Spotify. Leg it to Legit Coffee!